Are We Playing Whack-A-Mole with Recalls? Does the Rise in Electric Vehicles Give Birth to a Whole New Set of Recall Problems? Outsourcing Customer Communications – Should the Service Department Worry? To Improve the Customer Experience, Employees Must Own It! Is a Reasonable Consumer Expectation Too Much to Ask? For drivers, becoming educated about possible recalls must be a high priority. You are probably familiar with the concept of safety recalls. Here is a little information on what goes into them. With so many vehicles involved in recent recalls, dealers have to use the most accurate data they can. The faster you address recalls, the better service you can provide to customers. Even though the Takata air bag recalls have been in motion for some time now, owners could still be unaware of the effort. Apathetic owners are a real problem during auto recalls. Auto recalls can kick off a new phase of a customer relationship. There's sometimes a gap between when the recall starts and when the fix is available. What Do Owners Want From Your Recall Letters? Owners being notified in a recall campaign should feel like they know what to do next. 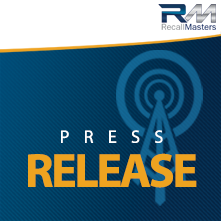 If manufacturers are looking for smarter recall measures, dealers should follow suit. The Takata air bag recalls will take more time, and dealers need to be ready. During an auto recall, dealers start with bad news and have to get to a good response from the customer. Recall marketing techniques may help dealerships keep accountability. How Many Recalled Vehicles are Still in Use? Millions of vehicles under recall still wind up on the road. Recall communications are important for building strong customer relationships. The NHTSA pursued multiple ways of encouraging recall data last year. Will Customers Remember Important Recall Info? Many consumers aren’t aware of recent vehicle hacking incidents, one survey revealed. Savvy marketing can help make up for a slow recall action. Effective communication can help prevent soon-to-be car owners from making poor purchasing decisions. A transparent recall action sends a positive message to owners. Negative reactions to one recall can affect how another one plays out. Recall marketing strategies can follow a specific plan to turn overwhelmed consumers into engaged ones. When a recall launches, dealers need to take action to reach consumers quickly. Earlier this year, a Fiat Chrysler recall drew attention for the way it handled hacking vulnerabilities in some of its vehicles. What’s the Right Tone for a Recall Campaign? Strike the right tone to keep customers engaged through recall communications. Following a phone script can help give vehicle owners the right message during a recall. Tracking Vehicle Identification Numbers is an important part of initiating a strong recall. Staying on top of important recalls means using the latest information to be prepared. 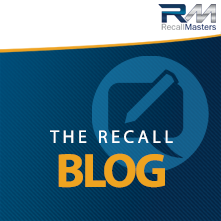 Getting owners involved in a recall is vital for success and improving responses. A dealership’s “unknown” customers can account for an untapped resource. With the right choices, dealerships may actually increase business during a recall campaign. A report seems to affirm one dealership’s lack of attention to recalled cars in their lots. How can dealerships be more responsive to consumer needs? Are dealerships not checking vehicles for recalls?